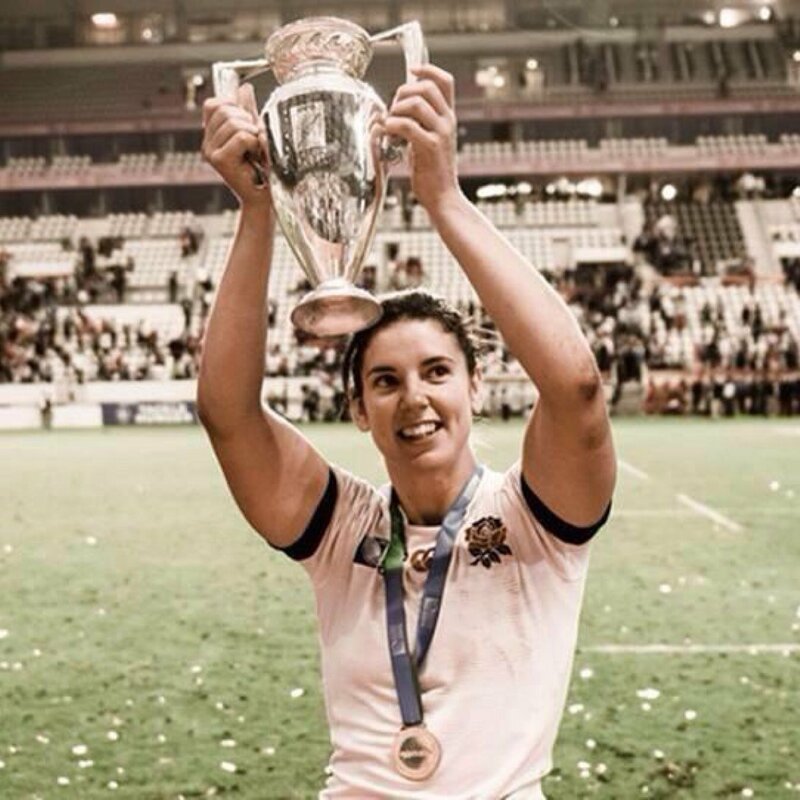 As part of our #ScrumsOrSequins campaign, we spoke to Women’s Rugby player Sarah Hunter, who has enjoyed amazing success playing for England, including winning the World Cup last year. She tells us about why she chose to pursue a career in rugby, her highs and lows, and who she is rooting for in the Rugby World Cup! A rugby player is not the typical girl’s career, such as a teacher or a nurse, which girls are often encouraged to pursue from a very young age. Did you face any negative reactions to your career choice? I think I have been very lucky in the fact that most people I have come across since starting rugby have been very supportive and encouraging about me playing rugby. Of course there have been the odd negative comments like “I didn’t know women played rugby” and “Rugby is a man’s sport” but in general most have been interested to know more about it. Usually the negative comments come from those who have never seen the women’s game before; once they do, their comments become very complimentary about what an exciting game it is to watch. How old were you when you realised you wanted to pursue a career in rugby? I started playing rugby when I was 9 but I don’t think that it was until about the age of 15 that I thought I wanted to or that I was possibly good enough to begin to have a dream of playing for England one day. You are very successful in your career as vice-captain of the England team; what was the toughest point in your journey? I think the toughest part that really sticks out is losing the World Cup in 2010 to New Zealand. We only lost 13-10 so it was a very fine margin. It was something the whole team had put years and years of hard work into winning with no other thought than we were going to do it and to come so close was heart breaking. It took a long while to get over it and still to this day looking back on the final whistle still hurts but winning the World Cup last year makes all the tough times and low points on your journey all worth it. Did you have to rely on your parents for support during your early years of training, for example, lifts to practice and the kit needed to play? I would not have been able to pursue my love of rugby without the fantastic and endless support from my family. Right from the very start they ferried me around from training to games all across the country. Financially they made it possible from buying kit to paying for club subs, performance camps or whatever was needed for me to be able to play. They even took their turns at washing the team’s kit. They have been my biggest supporters coming to cheer me on no matter the weather. Are you ever compared to your male counterparts? Do you ever feel as though you have to prove yourself? I think in sport you are always being compared to others whether that is the opposite teams, people in same positions, and other sports. So at times we are compared to the men’s game but quite often it is in a complimentary way such as “the women’s game is played with a greater attacking mind-set” or “it’s a lot more exciting to watch the women’s game”. I have never really felt that we need to prove ourselves because I think that our game does that for us. Anyone who watches the women’s game will see it is of a great standard and see just what great athletes are on show and how far the game has progressed over the years. Rugby is a great way of staying fit, but what other health benefits are there to children? Rugby has a number of other benefits other than staying fit. It encourages an active lifestyle where children are outside running round rather than inside stuck in front of computers or TV screens. The energy you burn off from running round playing the game means children are less likely to become overweight. The skills required to play the game mean children have to work on the hand eye co-ordination, special awareness, mental and tactical awareness, which are great benefits for everyday life. The interaction they have with other children means they start to develop lifelong people skills. 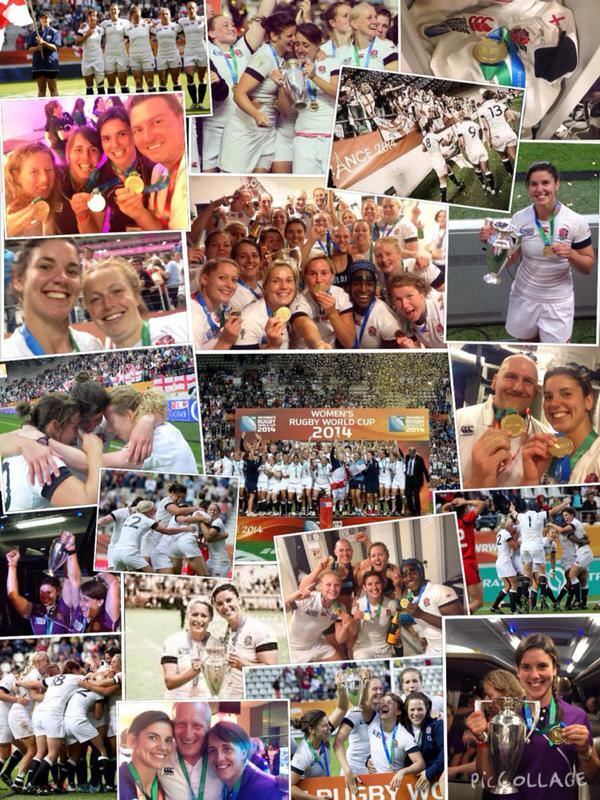 According to reports, women’s rugby is one of the world’s fastest growing sports. Why do you think this is? I think it’s because people can see it as a fun and enjoyable game that is accessible to everyone. Whether you’re strong, fast, agile or powerful there is something in rugby that means that everyone can play it and have a big part to play within a team. I think the misconception of it being a “man’s” sport has slipped away and opened the sport up to whole new audience. Young girls are now being encouraged to play at their local clubs and schools and now have a pathway to continue right through to senior rugby. There are now many formats of the game so if you don’t want to play contact rugby but still want all the enjoyment there is touch rugby. Rugby is a great team sport which has a great social environment on and off the field which I think stands above and beyond any other sport and is very attractive now the perception barriers have been broken down. You can still be feminine and play rugby. What do you think you’d be doing if you hadn’t pursued a career as a rugby player? I think I would still be involved within some sport probably not to the level I play rugby but I love being active and involved within a team. Do you have any advice for anyone wanting to pursue a career in sport? Firstly if you haven’t decided on a sport give everything a go and see which one is for you. This could also benefit you in the long run as many sports have transferable skills. And finally… Who do you think will win the World Cup this year? As an England player and supporter there is only one team I will be wanting to win the World Cup and that is England! ← #ScrumsOrSequins: Who says Rugby is only for the boys and cooking only for the girls?